The first Wednesday of the late archery deer hunt, I found myself glassing for a great buck that my buddy Derick had found over the weekend. Just before we got to our glassing spot we jumped a heard of deer. There was only a small buck in the group, but we were excited. The one day trip was off to a great start! Shortly after daylight Jeremiah found a buck with some does, but they were so far away we couldn't tell if it was the buck we were after. 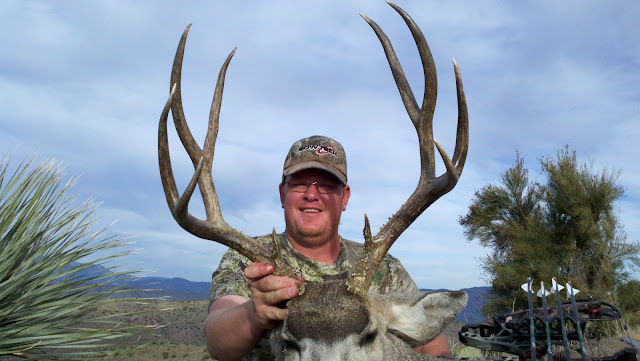 After some deliberation, and not glassing any more deer, we decide to put the sneek on that buck. We estimated them to be about two miles away. Fortunately Derick knew of a road that was on the back side of the ridge the deer were on, so we made our way back to the truck and drove closer to the deer. That move proved perfect as we only got a short distance from the truck before intersecting the deer. The deer had moved up the ridge from where we had glassed them and I was completely unprepared with the camera when we found them again. The buck saw us at the same time we saw them and I quickly ranged the buck as Jeremiah drew his bow. With a well placed 55 yard shot, the buck continued to follow his does for a short 100 yards before expiring. Just after the shot I turned on the camera to get Jeremiah"s reaction and recover the deer. 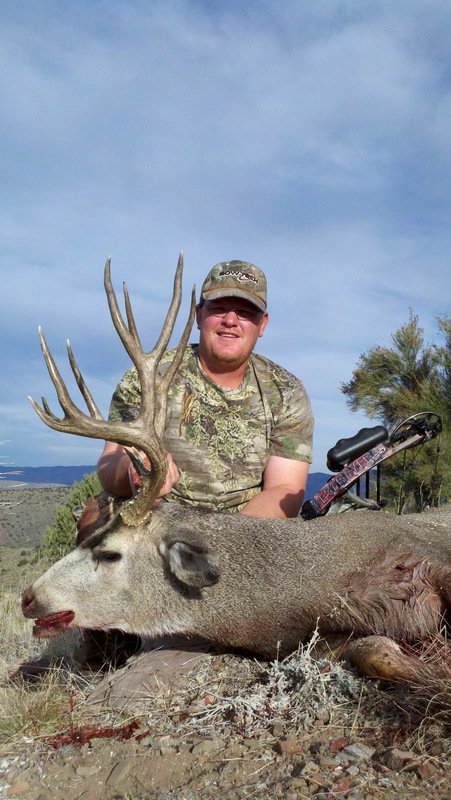 Jeremiah Johnson with his great desert archery buck! 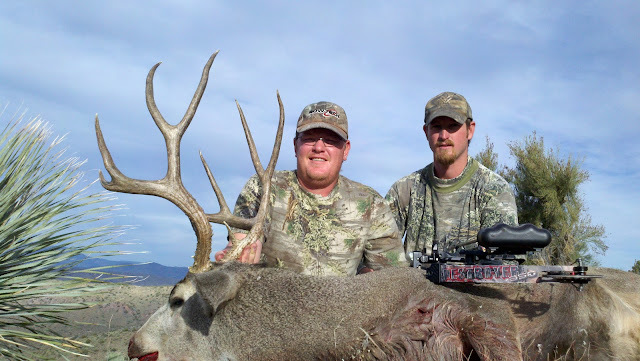 Congrats on a great desert archery buck Jeremiah!